Flosteer Boiler Blow Down Valves are Bolted Bonnet Design & Parallel Slide Type. Flosteer Boiler Blow Down Valves are available with Rack & Pinion arrangement for easy and quick operation. Stellited trims are provided for all above 600# as a manufacturing standard of “FLOSTEER” valves and in lower rating also on request. Deep stuffing box is providing to assure tightness and maximum packing life. 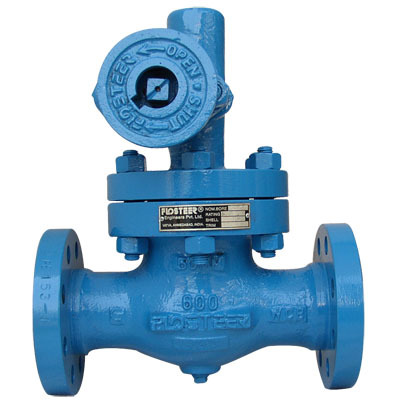 FLOSTEER Boiler Blow Down Valves available under any Third party inspection including IBR (Indian Boiler Regulation) in size range from 25mm to 100mm up 900# pressure rating.